Caxton Hall, now a redeveloped apartment and office block, was once THE registry office that celebrities and members of high society used to get married. It is now a listed building, not because of the notable weddings that took place there, but because of its historical political associations – it was used by the Women’s Social and Political Union held a women’s Parliament at the beginning of every year since 1907 before marching to Parliament in an attempt to deliver a petition to the Prime Minister in person; Udham Singh, assassinated Michael O’Dwyer, former Lieutenant Governor or the Punjab in India as an act of revenge for the 1919 Amritsar massacre; and the Ministry of Information during WW2 used the hall as a venue for press conferences held by Winston Churchill and his ministers. 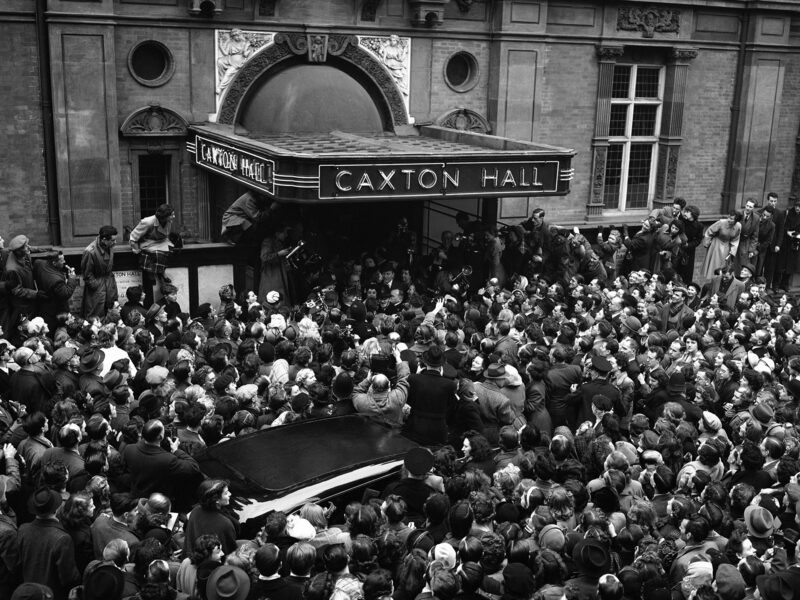 The Caxton Hall Registry Office was closed in 1977, and the whole building was redeveloped in 2006 after being listed as of Special Architectural or Historic Interest in 1984. 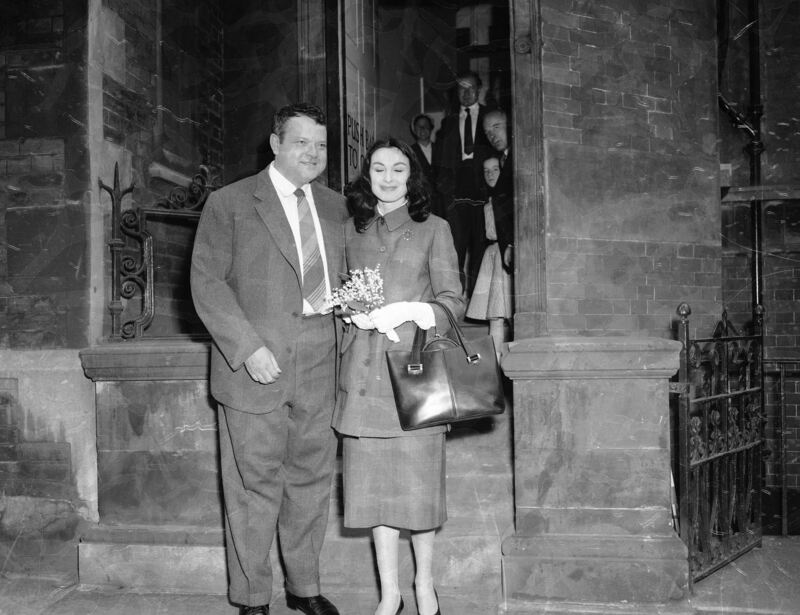 Robert Nesbitt, the theatrical producer, was married at Caxton Hall, London on Jan. 2, 1943, to Iris Lockwood, the actress. 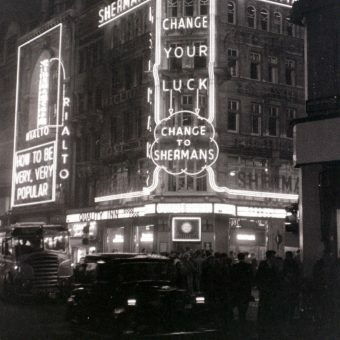 She had left home at the age of 12 to become a Sherman Fisher girl and then went on to become one of CB Cochran’s Young Ladies appearing in London revues and cabaret in the thirties. 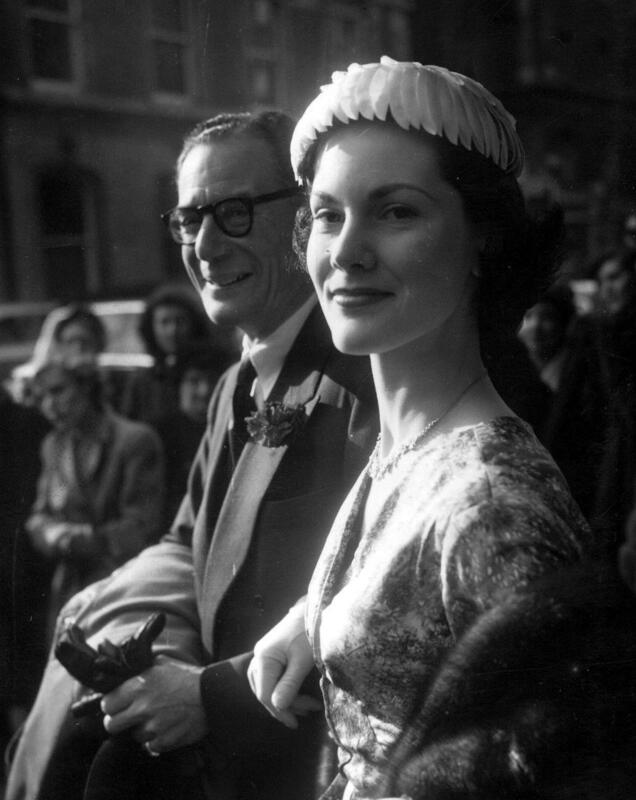 After marrying Nesbitt, she gave up the stage but became a successful model for royal couturier Sir Norman Hartnell.. They were married until he died in 1995. 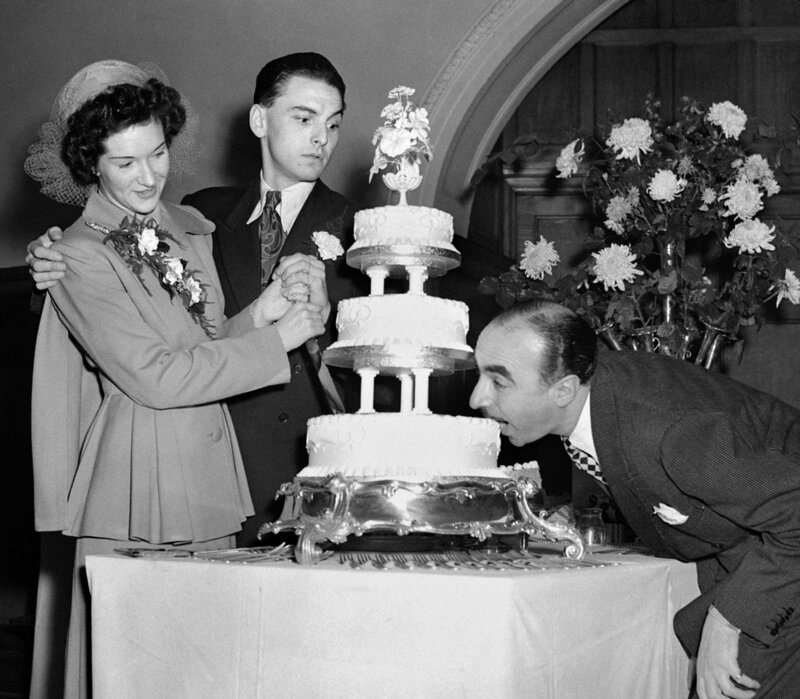 Comedian Bob Monkhouse and his bride Elizabeth Thompson, a former nurse from Belfast at their wedding reception at Caxton Hall, London on 5th November 1949. Harold “What a geezer!” Berens is taking a bite of their cake as they attempt to cut it. 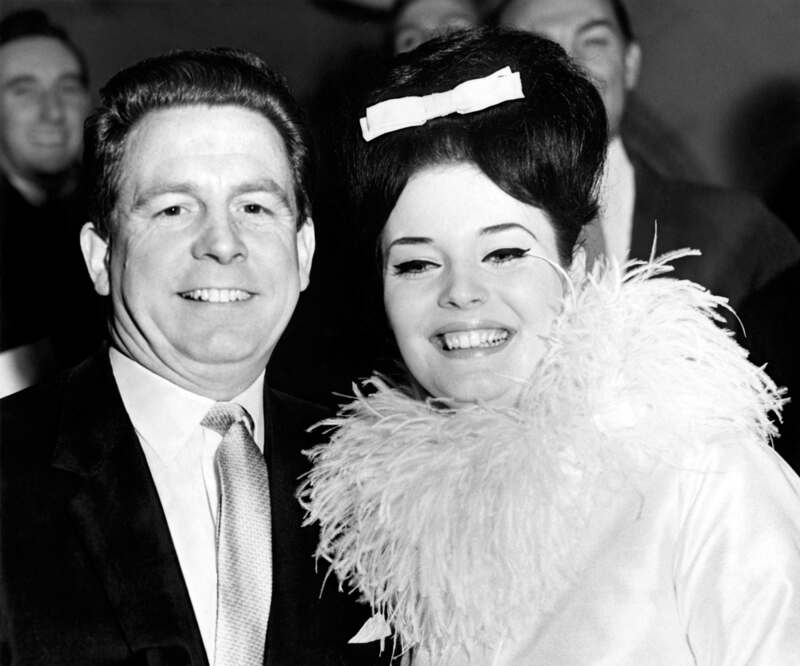 The Monkhouses separated in 1967 and divorced in 1972. 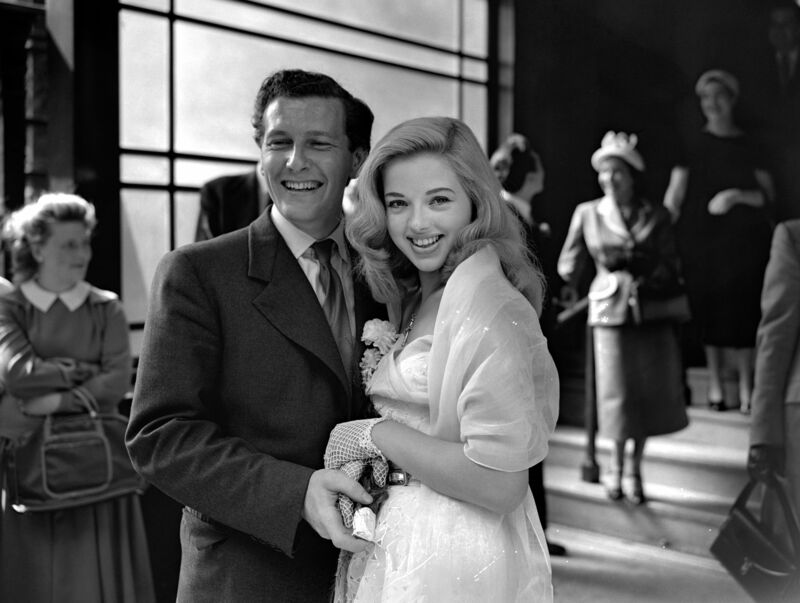 19 year old film actress Diana Dors and her new husband Dennis Hamilton, 26 year old ‘representative of an engineering firm’, leaving Caxton Hall registry office after their wedding 3rd July 1951. Dors was in the middle of working on a film called Godiva Rides Again so there was no honeymoon after the wedding, just a meal in Olivelli’s in Store Street. 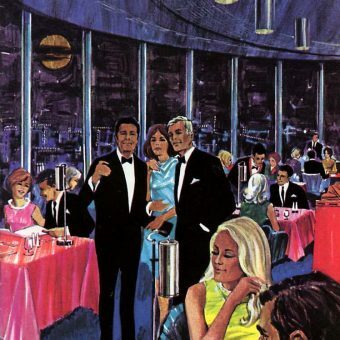 The guests all paid for their own meals. The couple separated in 1958 but just a year later Dennis Hamilton suddenly died. His death was initially blamed on a heart attack but the day after the funeral Dors found out that he had died of tertiary syphilis. 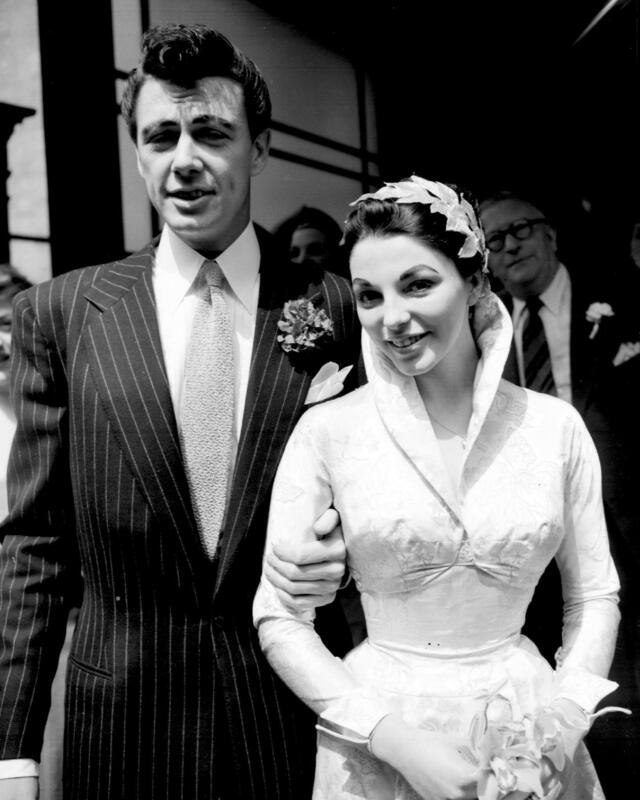 Actor Maxwell Reed and his bride actress Joan Collins after their wedding at Caxton Hall Register Office, on 24 May 1952. The marriage ended in divorce four years later in 1956. 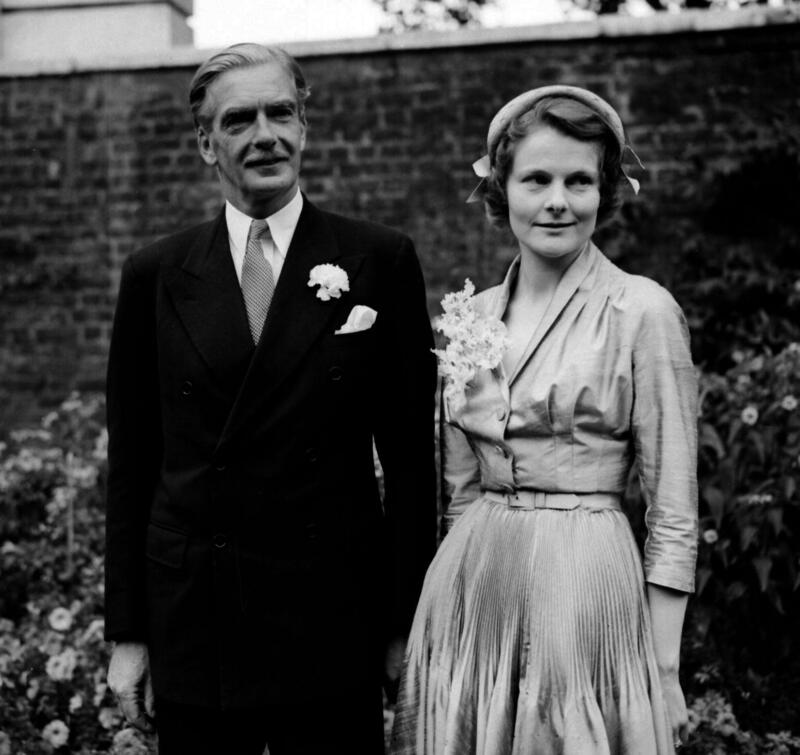 Mr and Mrs Anthony Eden in the garden of No 10 Downing Street after their wedding at Caxton Hall Register Office, Westminster. The Groom is Britain’s Foreign Secretary while the Bride, the former Clarissa Spencer Churchill, is the 32 year old niece of Sir Winston Churchill. 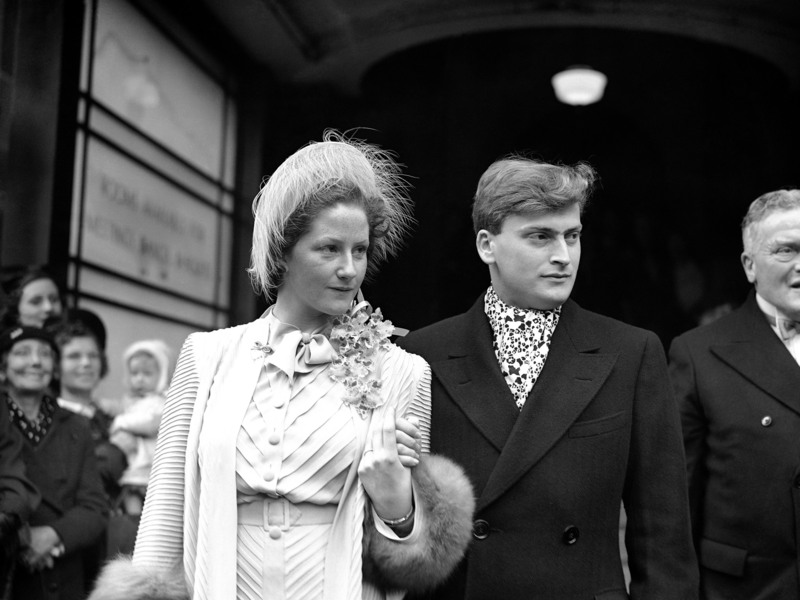 The marriage survived until Eden’s death on 14 January 1977 in Salisbury. 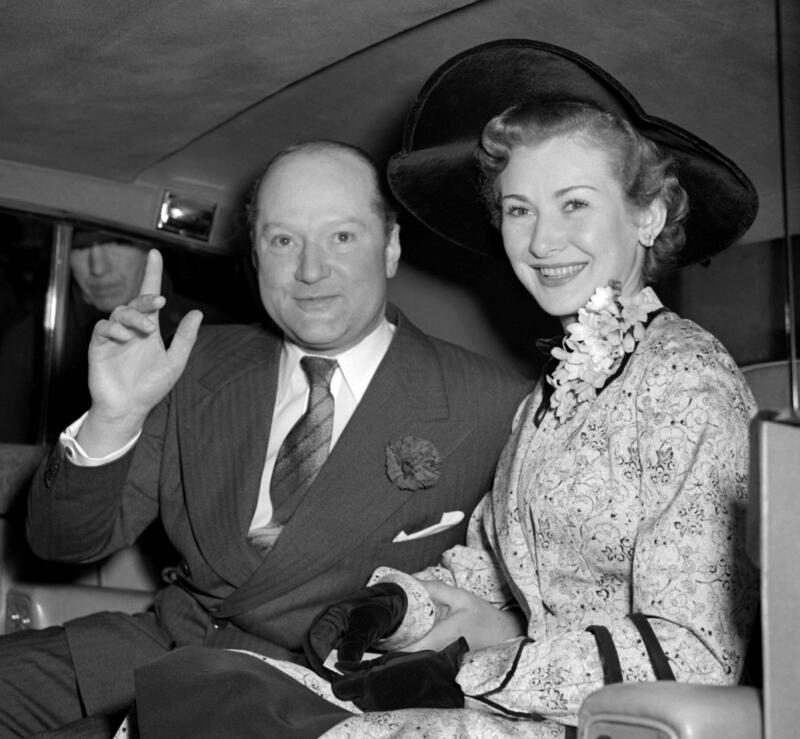 Val Gielgud, 54, head of BBC sound drama and elder brother of Sir John, with his new bride, actress Monica Grey, 24, leaving Caxton Hall in London, after their wedding on 10 February 1955. 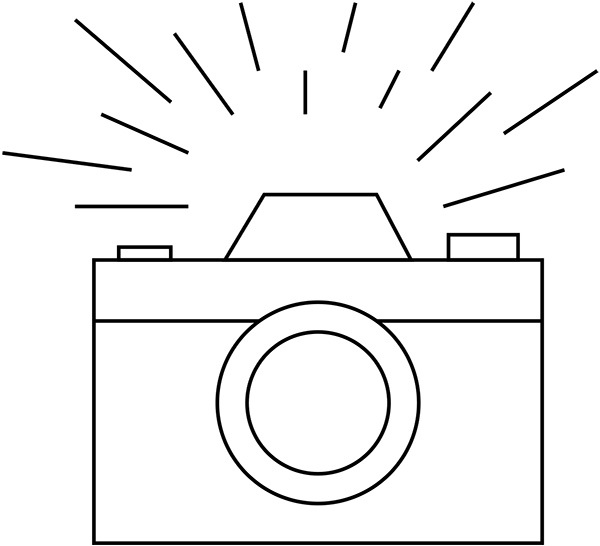 It was the fourth of his five weddings and they dissolved five years later. 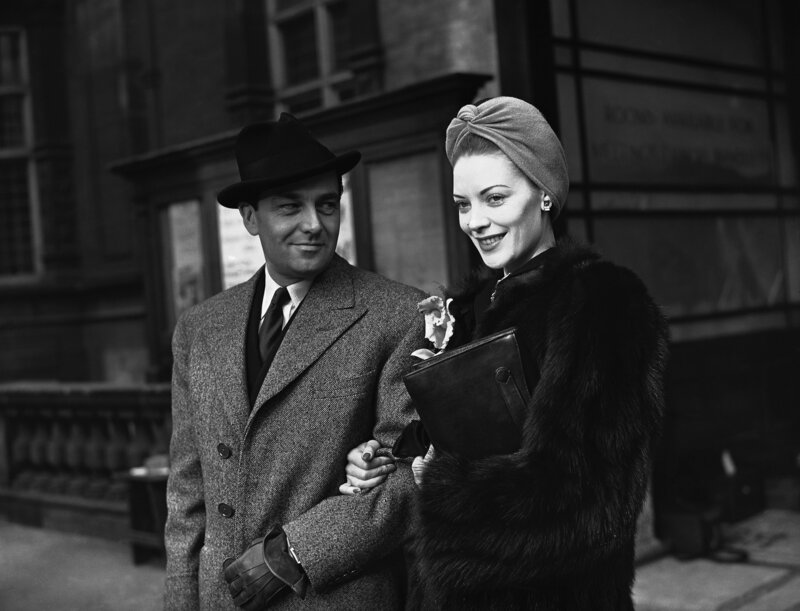 Bernard Bresslaw, 25, after his wedding to dancer Elizabeth Wright at Caxton Hall on 8 August 1959. 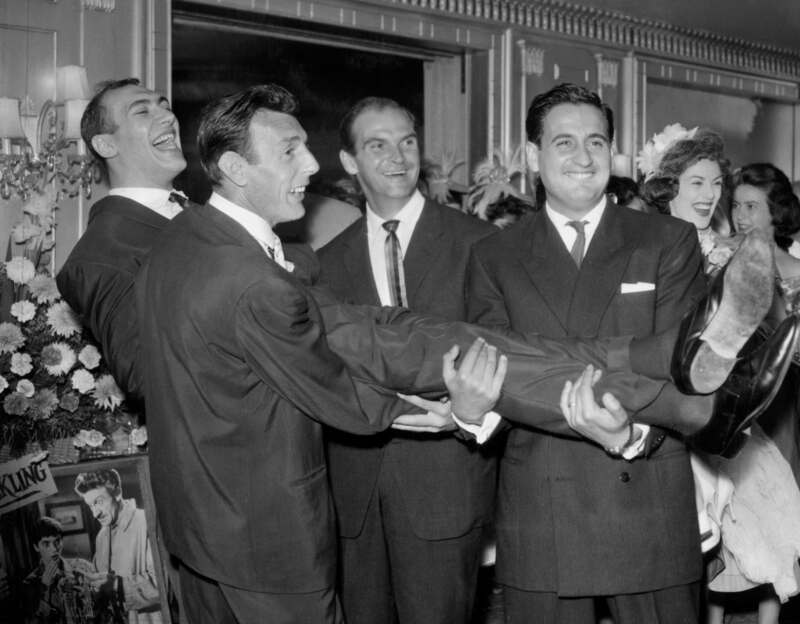 Carrying Bresslaw, left to right, are; comedian Eric Sykes, actor Stanley Baker and comedian Bernie Winters. The couple remained married, with three children, until Bresslaw died in June 1993. 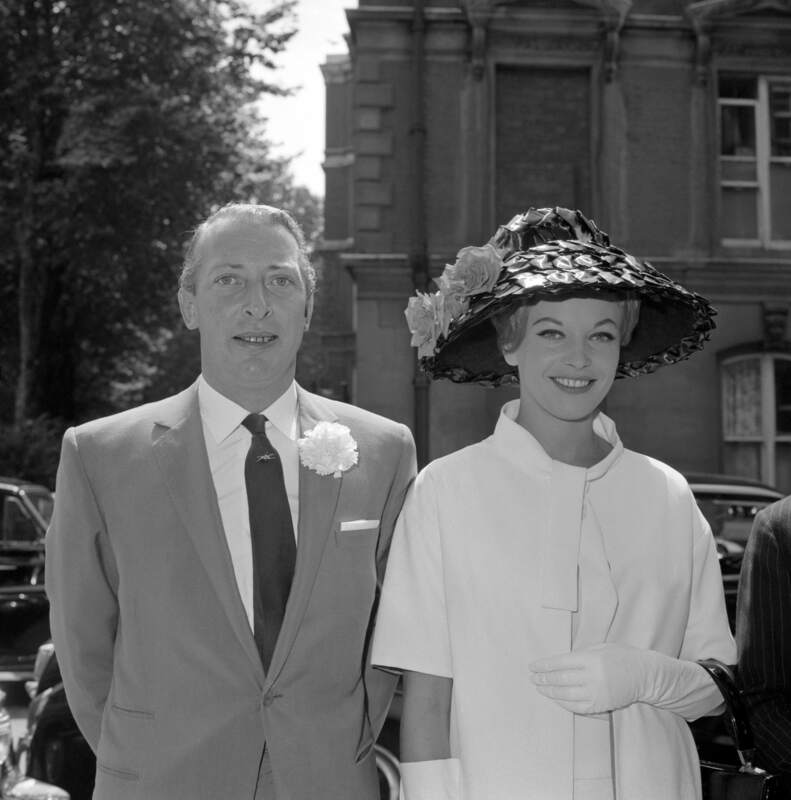 20 year old 1961 Miss World Rosemarie Frankland and her new husband Ben Jones, a journalist and sixteen years her senior, leave after the ceremony at Caxton Hall. 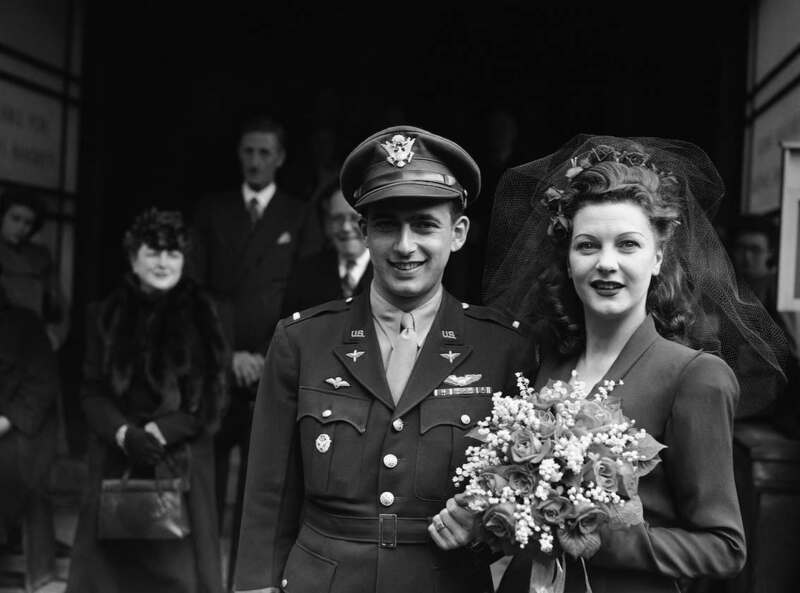 The marriage was unable to survive her hectic lifestyle (ie having an affair with Bob Hope) and he filed for divorce six months later on the grounds of adultery. 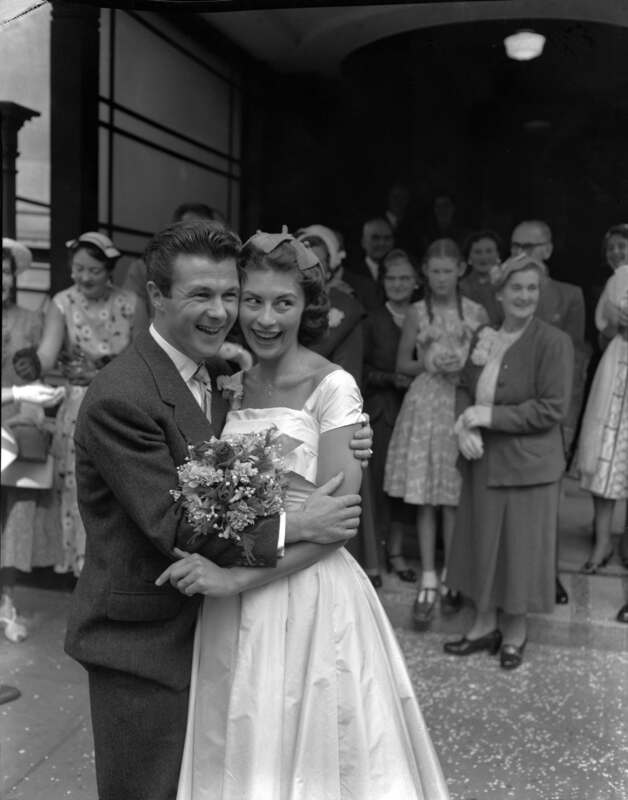 Glamour photographer Harrison Marks (r) with his bride, model Vivienne Warren (l), at Caxton Hall after their marriage on 30 November 1963. 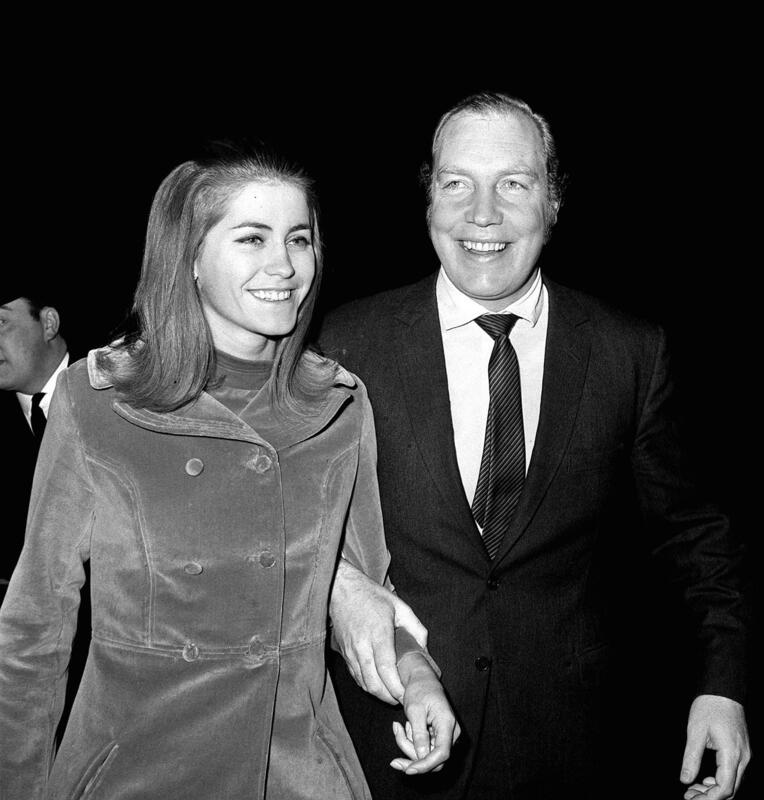 The Earl of Kimberley with his fourth bride, 23 year old fashion model Margaret Simons, at Caxton Hall, 21 April 1964. 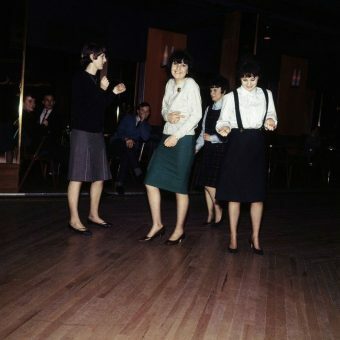 Simons was the fourth of his six wives and the marriage lasted just four years and they divorced in 1965. 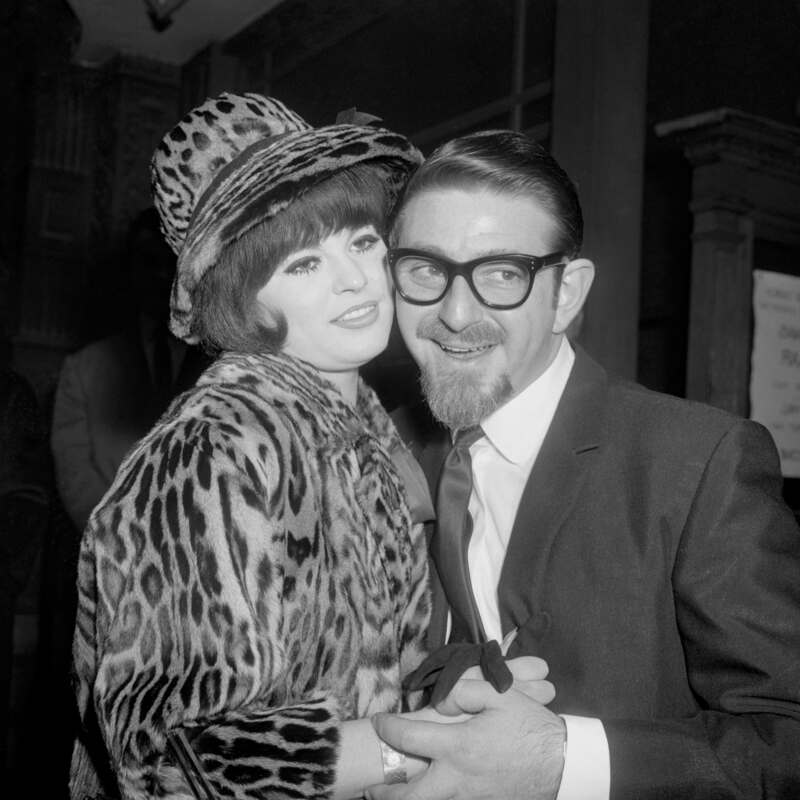 John Aspinall, 40-year-old Mayfair gambling club proprietor, leaving Caxton Hall register office, Westminster, London, with his second bride, Belinder ‘Min’ Musker, a 24-year-old model, 13 December 1966. They divorced in 1972. 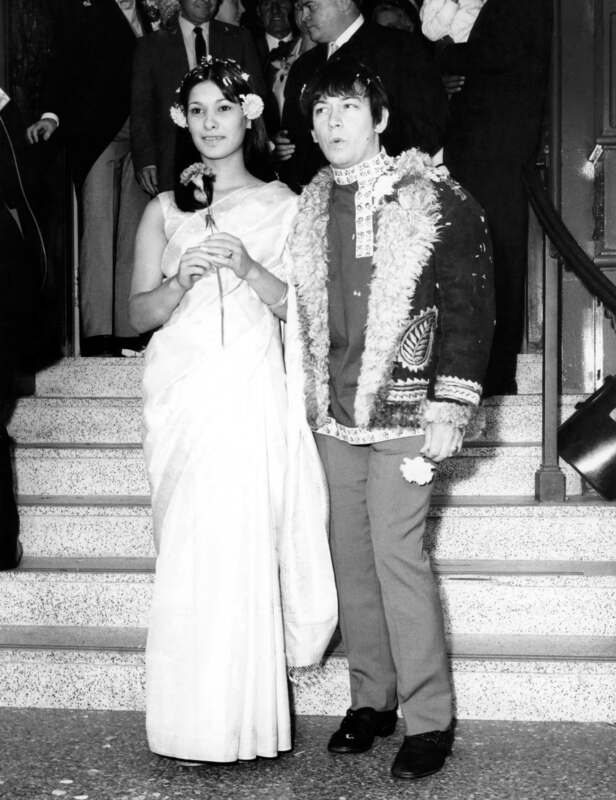 The Animals lead singer Eric Burdon (r) leaves Caxton Hall with his new wife Angie King 7 September 1967. The marriage lasted two years and they divorced in 1969. 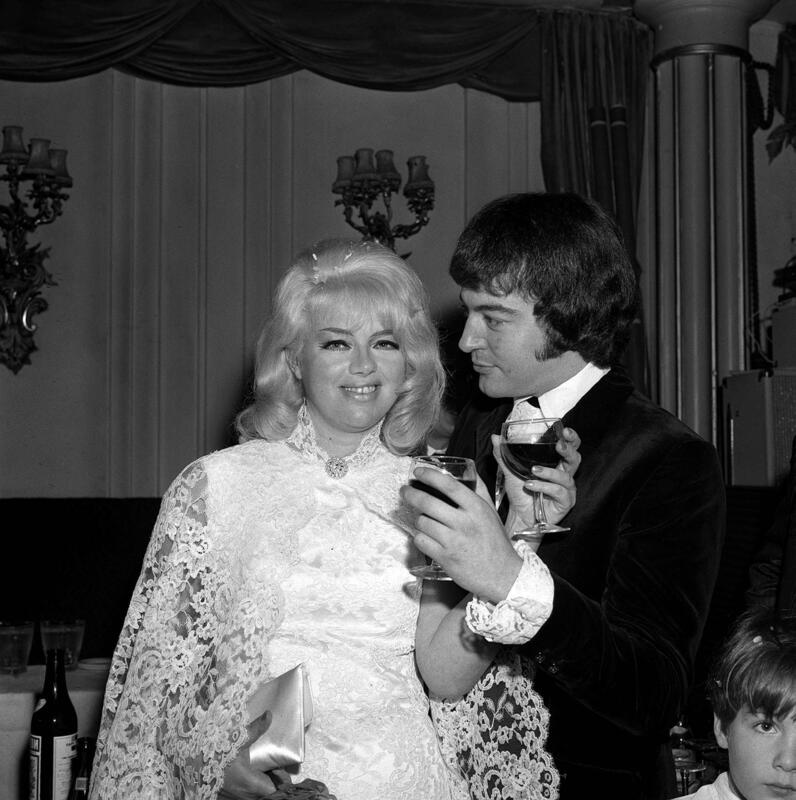 Diana Dors and her bridegroom Alan Lake exchange toasts at the reception at the Astor Club, after their wedding at Caxton Hall on 23 November 1968. 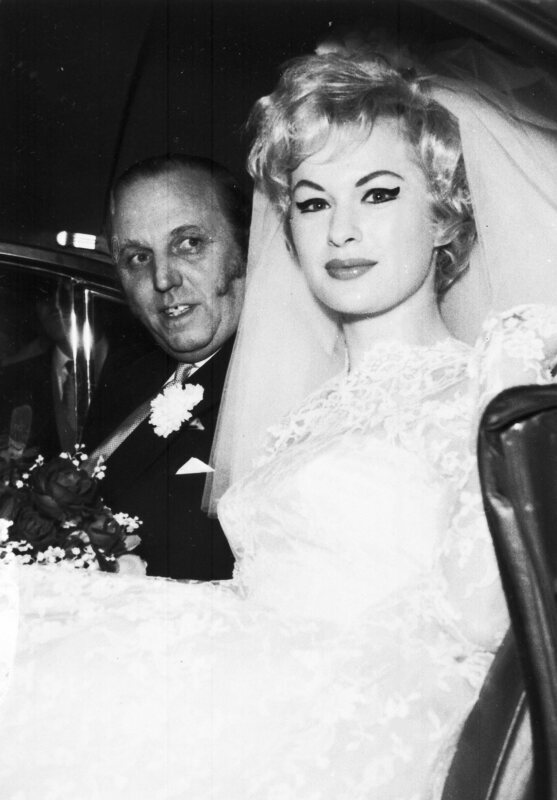 They remained married until Dors’ death in 1984. 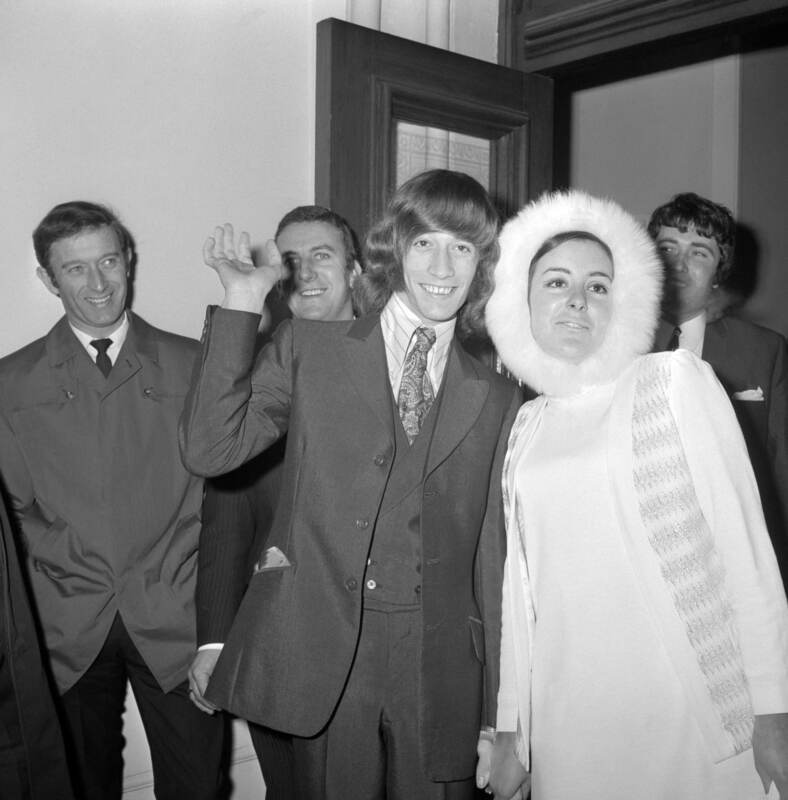 A wave from 19 year old Robin Gibb, member of the Bee Gees, as he leaves Caxton Hall register office, London, with his fur-bonneted bride after their wedding. She was 21 year old Molly Hullis, whom Mr Gibb met two years ago shortly after the Bee Gees came to the UK from Australia. 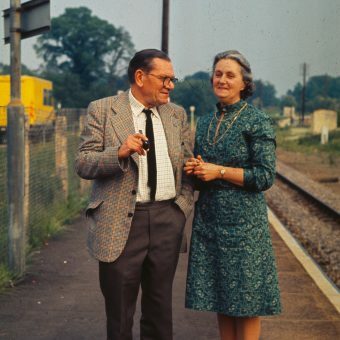 The couple had both survived the Hither Green rail crash, which killed 49 people on 5 November 1967. They divorced in 1980. 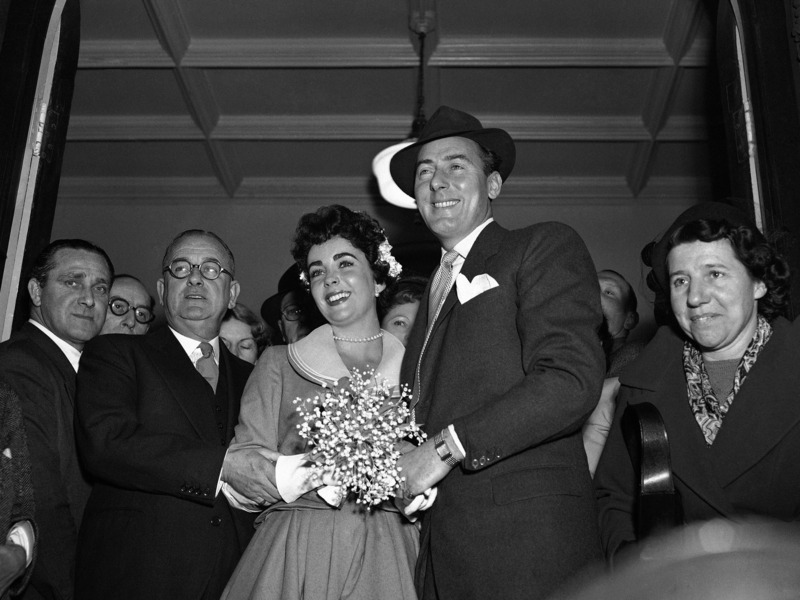 Peter Sellers, in conventional dark pin-stripped suit, and his bride, the former Miranda Quarry, in rich puce-coloured Gypsy-styled maxi dress, after their marriage at Caxton Hall Register Office. * The Bride is step daughter of Cunard deputy chairman Lord Mancroft. Her dogs were her bridesmaids and Sellers left her during the honeymoon. It was Sellers third marriage. 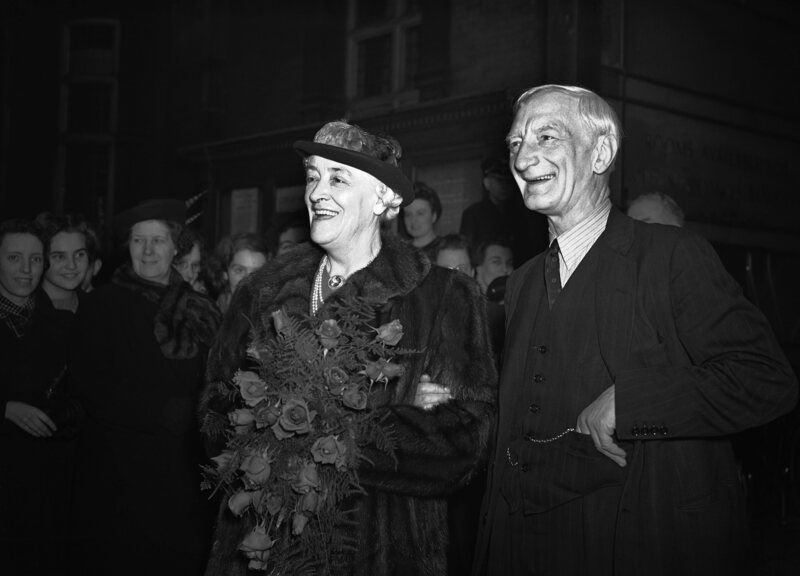 His first, to Anne Howard, in 1951, was dissolved in 1964. He married actress Britt Eckland the same year. After the wedding at Caxton Hall on 24 August 1970, actor Bob Grant of television’s On The Buses and his bride, former Kim Benwell, an ex-Raymond Revue girl, happily showing her old fashioned underwear. They were married until Grant took his own life in 2003. 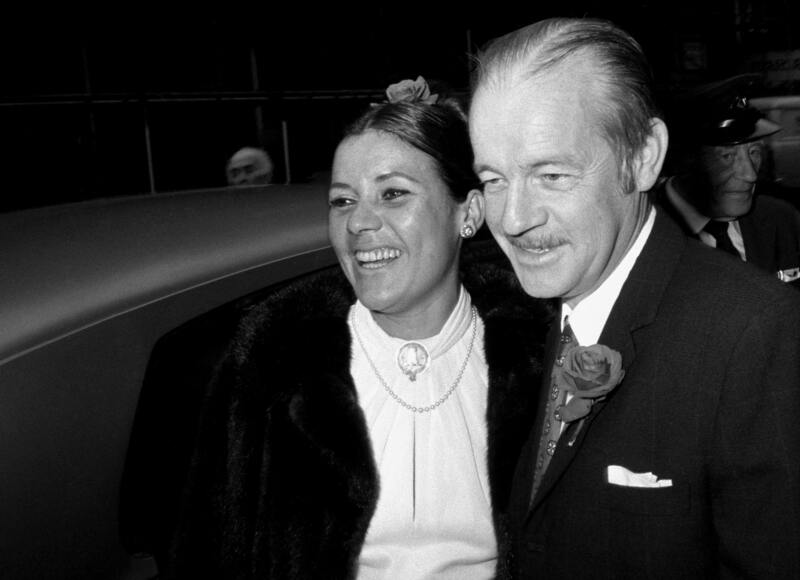 Alistair Maclean with his new wife Marcelle Georgeus. 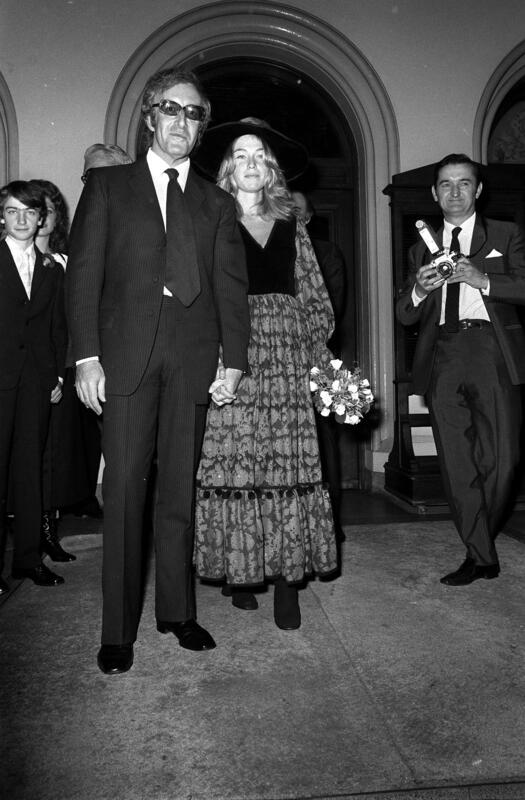 Married on 13 October 1972. They divorced in 1977. 30/12/1977: Mr Robert Claiborne-Dixon and the former Miss Regina Dangerfield after they became the last couple to wed at Caxton Hall, Westminster register office, which is closing after 44 years of cheers, rice, confetti and romance. The man kissing the bride is Superintendent Registrar Mr Donald Boreham, who wed them.